Military Son Surprises Mom At Work! Make Sure To Bring Tissues! The bond between mom and son is unbreakable, no matter how many miles, how many days, weeks, months, years, at any point they see each other, it’s as if no time has passed. In this video, mom has not seen her son in months, in fact, she doesn’t expect to see him, he told her he would only be able to call her on the phone. So when she’s at work, the last thing on her mind is seeing her son. Then, he walks in; immediately she can’t believe it, she’s so excited to see her little boy all grown up in his military garb. It brings instant tears to her eyes, and she can’t hold them back. Even the other people in the office are touched, the whole thing is beautiful! 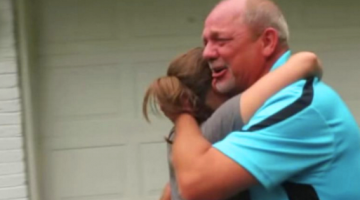 Watch how it all unfolds, it’s such a beautiful way to surprise Mom! Thank you for your service, young man. Paralyzed Bride Surprises Wedding Guests. See The Touching Video! 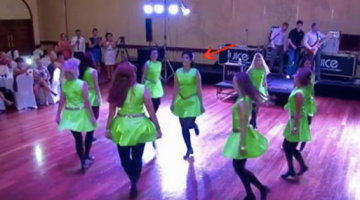 Groom surprises wedding guests with awesome dance!